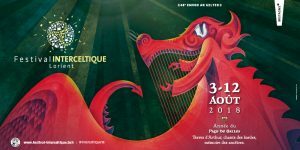 If you’re looking for a vibrant, colourful festival which brings together our friends and neighbours from the Celtic nations, there’s nothing better than the long-running Lorient Inter-Celtic Festival in Brittany, now in its forty eighth year and going from strength to strength. Following city centre construction work, many of the festival venues have been modified, with new space made available for several pavilions and a layout for a Celtic artwork exhibition in the local square. The Breizh Stade is now home to the Village Celte des terres, where visitors to the festival can enjoy snacks and refreshments; specialising in meat and cold cuts. For the past four years the Breizh Stade has become a focal point for the Lorient Inter-Celtic Festival, hosting Breton sports and games, musical entertainment with cercles and bagadoù, and the second category National Bagadoù Championships, as well as the pipe bands and drumming championships. With the installation of the Village Celte within the stadium, everyone benefits from a growing entertainment and activities sector, dra wing crowds for a variety of performances from brass bands, Bagadig groups, Plijadur du Bagad and even board games. One of the highlights of the festival is the extensive Grand Parade, drawing together three thousand five hundred musicians, pipe bands, bagadaù, cercles and bandas de gaitas in traditional dress to parade through the crowded streets of Lorient. Featuring two hundred concerts and performances, twelve stages and four thousand five hundred artists, this annual festival attracts well in excess of seven hundred and fifty thousand festival-goers. Recognised as one of Europe’s largest festivals, the Lorient Inter-Celtic Festival is a fantastic inter-cultural exchange which penetrates both borders and identities – bringing together those from the Celtic Diaspora. 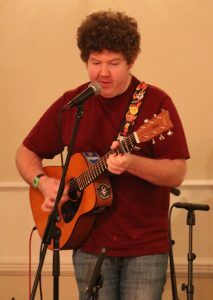 Although every Celtic nation is represented at the event, this year the focus will be trained upon Wales, recognised culturally for its musical heritage, which flourishes through its choirs and the triple harp, as well as traditional music, alternative folk and a burgeoning pop/rock scene. It’s little wonder that it earned the title of The Land of Song during the nineteenth century. Many Welsh performers have visited the Isle of Man to entertain here, with a number of Manx groups reciprocating with their own musicians, dancers and singers. 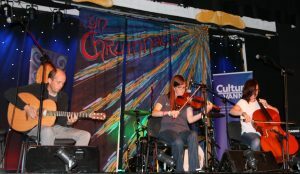 But a local contingent will also be heading towards Brittany in order to fly the Manx flag, which includes The Lawrences, a highly talented trio of musical siblings, who between them play whistle, cello, fiddle, keyboard and guitar. They will be joined by A’Nish, featuring Ruth Keggin and dancers Gráinne Joughin and Ali Carroon. 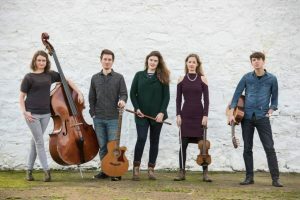 Peter Young’s hard-working team of volunteers will also include Island singer/songwriter Matt Kelly and musician Caitlin Bennett, who will also be squeezing in some performances at the Manx pavilion.